Located in Lermoos, Zugspitze - Silence Sporthotel is in the mountains, within a 5-minute drive of Hochmoos Express Ski Lift and Grubigstein Cable Car. 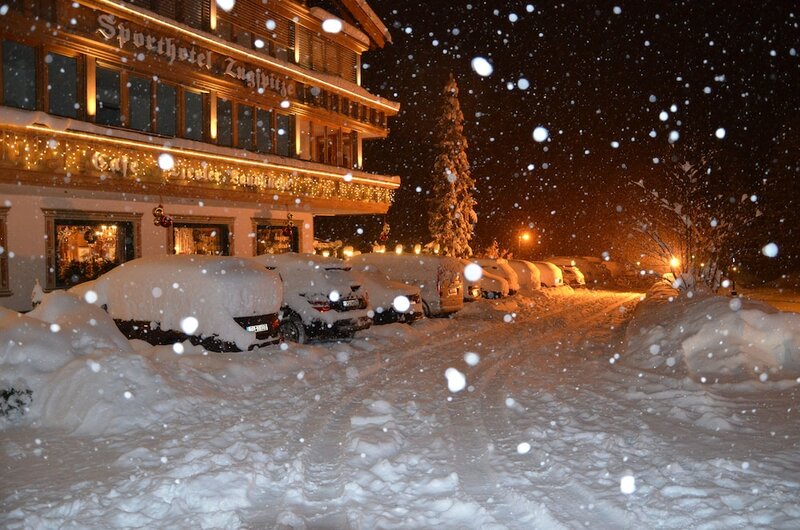 This 4-star hotel is 1.8 mi (2.9 km) from Tirol-Zugspitze Golf Club and 3.8 mi (6.1 km) from Ehrwalder Alm Cable Car. Make yourself at home in one of the 35 guestrooms featuring refrigerators and flat-screen televisions. Complimentary wireless Internet access keeps you connected, and cable programming is available for your entertainment. Conveniences include phones, as well as safes and desks. While the golfer in the family is out on the course, try one of the other recreational amenities offered, such as a sauna or a fitness center. This hotel also features complimentary wireless Internet access, ski storage, and shopping on site. At Zugspitze - Silence Sporthotel, enjoy a satisfying meal at the restaurant. Breakfast is available for a fee.